Rock Manor Games - Games, Toys & more e.U. 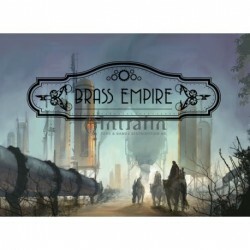 Brass Empire is a strategic deckbuilding card game. 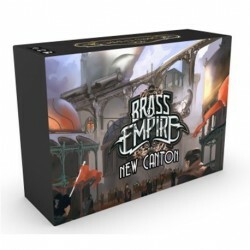 It takes place in a Steampunk universe where each player takes on the role of a different corporation hiring the best employees, constructing building, and manufacturing steam-powered machines. Players battle and sabotage each other to amass economic wealth and influence to win the game.